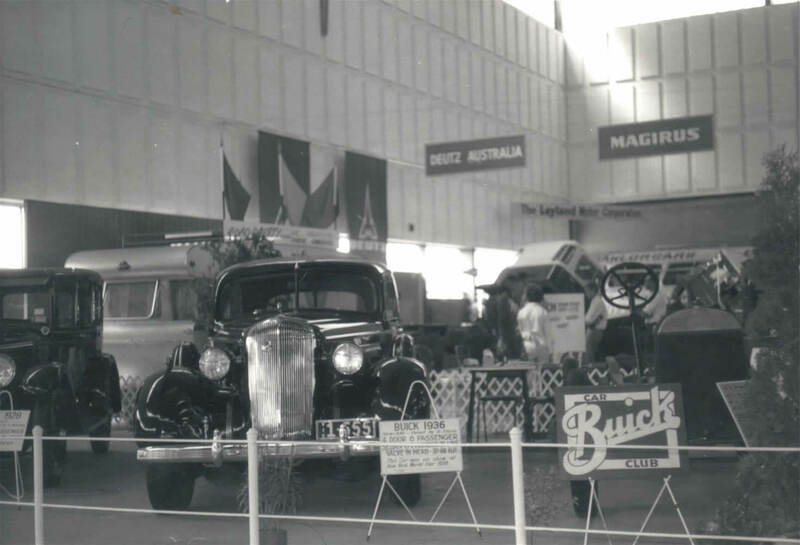 The Melbourne International Motor Show was held during April of 1968 at the Royal Exhibition Buildings, Carlton.The Buick Car Club of Australia displayed a number of members' cars and the Club restored 1923 Buick chassis. The show ran for 10 days with members and their families manning the stand, talking to prospective members and handing out Club leaflets. The leaflets were also given to members to place under the wiper of any Buick seen in the street, to encourage more membership. 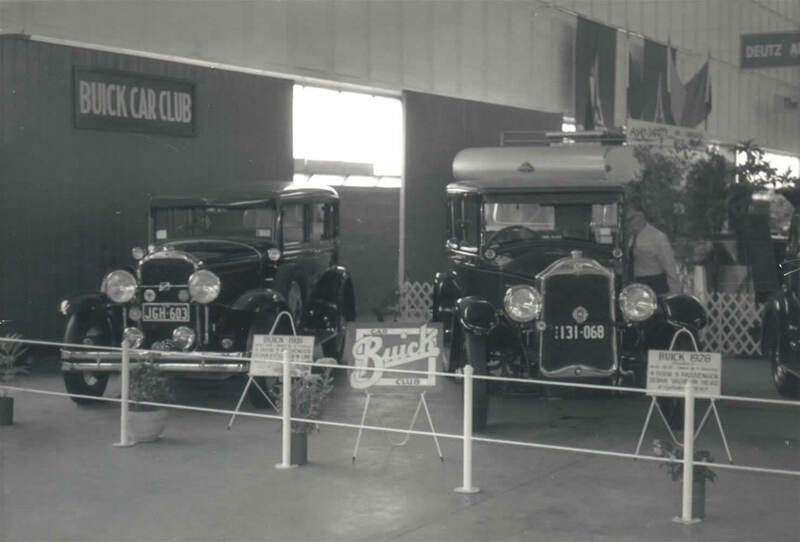 In 1969 The Buick Car Club attended the International Motor Show again. 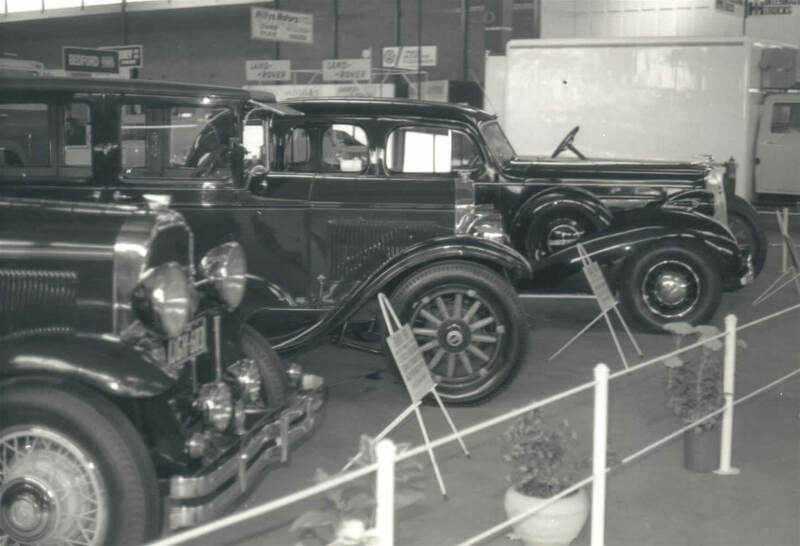 It achieved more success in locating Buick parts and whole cars, whilst displaying a fine range of Buick automobiles. 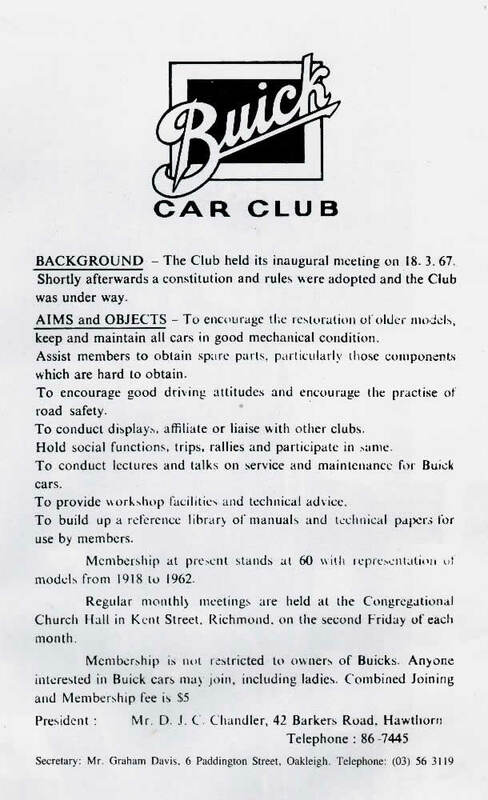 1969 was a year of firsts with the Club holding its first "autokana" and a dinner dance at the Matthew Flinders Hotel in Chadstone. The Buick Car Club of Australia held its first Concours D' Elegance, at Willsmere Park, Kew on the 12th April 1970.